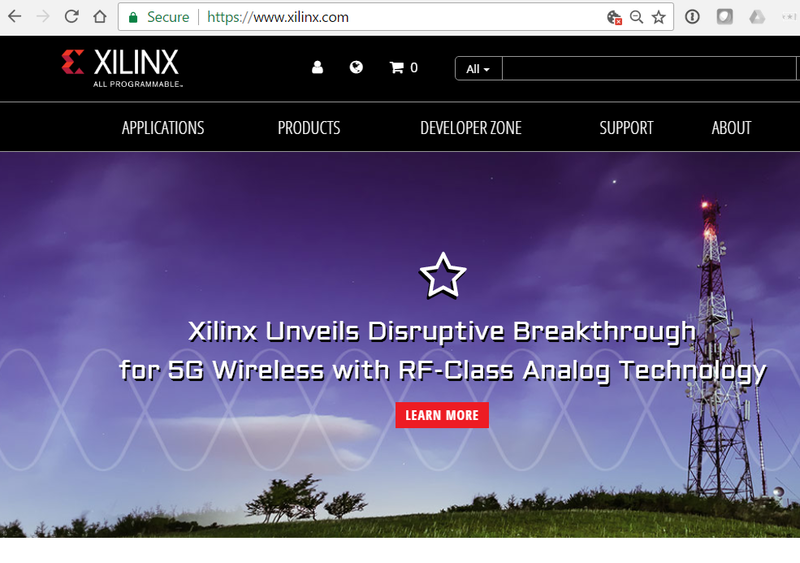 Xilinx has announced what it claims is a disruptive integration and architectural technique for 5G wireless with the addition of RF-class analogue technology into its 16 nm All Programmable MPSoC products. Xilinx's new All Programmable RFSoCs eliminate the need for discrete data converters, providing a claimed 50-75% reduction in terms of power and footprint for 5G massive MIMO and millimetre-wave (mmWave) wireless backhaul applications. The company noted that large scale 2D antenna arrays will be a key element for increasing spectral efficiency and network densification for 5G networks. The integration of ADCs and DACs into Xilinx's All Programmable SoC devices is designed to enable radio and wireless backhaul units to meet previously unattainable power and form factor demands, while also allowing higher channel density. In addition, the new RFSoC devices can also help manufacturers streamline design and development cycles and meet 5G deployment timelines. 1. Direct RF sampling to simplify analogue design and enhance accuracy and enable a smaller form factor and lower power consumption. 2. 12-bit ADCs supporting up to 4 GS/s, high channel count, with digital down-conversion. 3. 14-bit DACs supporting up to 6.4 GS/s, high channel count and digital up conversion. The new RFSoC integrated subsystem specifically targets a range of applications including high bandwidth remote radio and backhaul systems for 5G deployments and remote node architectures (R-PHY) for DOCSIS 3.1 cable broadband systems. 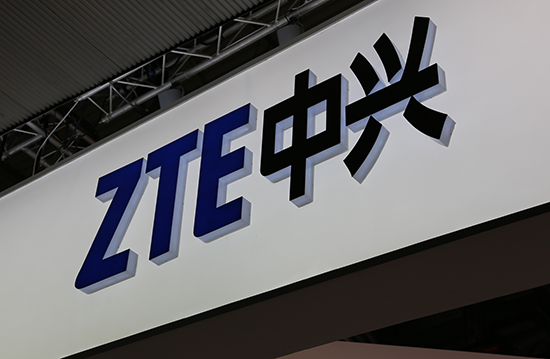 ZTE has announced the completion of commercial trials of its Combo PON solution in two local networks in Changzhou and Yancheng, in China's eastern Jiangsu province, conducted jointly with the China Telecom's Jiangsu branch and the China Telecom Beijing Research Institute. ZTE stated that the commercial trial combined the in-service optical line terminations (OLTs) with its Combo PON cards to connect the legacy optical distribution network (ODN) and XG-GPON and GPON optical network units (ONUs) using the same Combo PON port. The Combo PON solution is designed to utilise the system and flow of the carrier's existing element management system (EMS), OSS and resource management system, while implementing minor alterations to the attributes and performance statistics and alarms of the newly-added Combo PON cards. The solution leverages its advanced XG-PON smart gateway to provide a 1 Gbit/s connection supporting voice, 4K IPTV and smart home services for end-users. ZTE noted that with the solution existing GPON FTTH ONUs are migrated under the Combo PON port, and inherit the existing integrated terminal management system (ITMS) flow to enable automated distribution and provision of FTTH services, thereby providing interoperability with GPON ONTs from multiple vendors. The company observed that migration of 10 Gbit/s PON is necessary to enable 1 Gbit/s broadband in China, although lack of compatibility between 10 Gbit/s PON and existing EPON/GPON CO equipment and the ONUs in user premises needs to be addressed. The native ability to combine 1 and 10 Gbit/s EPON terminals under the PON port has led to 10G EPON being adopted in large-scale upgrades. However, as a 10 Gbit/s GPON port only supports 10 Gbit/s and not GPON ONUs, coexistence of 10 Gbit/s GPON and GPON requires wavelength combination. ZTE stated that traditional external multiplexer solutions need to plan, construct and maintain both 10 and 1 Gbit/s GPON equipment and cards, resulting in more equipment and an additional 1.5 dB insertion loss, as well as requiring existing ODN to reserve redundant optical power of approximately 3 dB, which limits its applications. The Combo PON solution does not require additional space, does not incur insertion loss or require ODN transformation, and can support flexible access and compatibility for both 10 and 1 Gbit/s PON ONUs. The company noted that the success of the recent commercial trial demonstrates that the Combo PON solution can transition from the lab research to the application stage, marking a significant step towards ZTE and China Telecom commercialising the Combo PON solution. ZTE unveiled its Combo PON solution, based on the hybrid GPON and XG-PON optical transceiver module, in February last year; in June 2016 the Combo PON was first tested at the China Telecom Shanghai Research Institute. Ciena has introduced Waveserver Ai, designed to offer high capacity and power efficiency for data centre interconnect (DCI) applications together with the established server-like operational model delivered by the Waveserver portfolio. The 'easy-to-automate' Waveserver packet-optical platform is designed to enable ultra-high capacity connections between data centre locations along with reduced network costs for enterprises and content providers. The new Waveserver Ai additionally enables the interconnection of multiple clouds for multi-tenant data centre and cloud providers to offer expanded support for high-speed, high-capacity services. Ciena's Waveserver Ai solution allows increased capacity and service densities with minimal footprint in data centres where space may be limited. Leveraging the WaveLogic Ai coherent technology, the platform can scale to 2.4 Tbit/s in a single rack unit of space, representing a claimed 50–100% higher density compared to other compact DCI platforms. Additionally, with low power per bit performance, the solution can also help operators reduce overall energy consumption. Waveserver Ai can also help to simplify DCI planning and deployment leveraging a programmable coherent chipset that can be tuned from 100 up to 400 Gbit/s to optimise capacity over any distance, ranging from metro and regional to long-haul networks. As a result, with a single Waveserver Ai platform an operator can deliver single wavelength 400 Gbit/s capacity on short-haul links and 200 Gbit/s capacity for long-haul DCI applications. Additionally, leveraging web-scale attributes the Waveserver Ai platform is designed to enable a simplified lifecycle, from planning and ordering to provisioning and maintenance, combined with a server-like deployment model. Via a suite of open APIs and management interfaces, the platform can be integrated into existing or new DCI networks and existing operational processes. 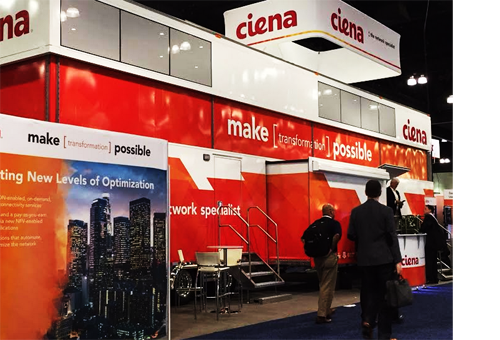 Ciena noted that operators can also use its Emulation Cloud simulation environment to create, test and fine-tune customised applications. Waveserver Ai is scheduled to be generally available in the second quarter of 2017.